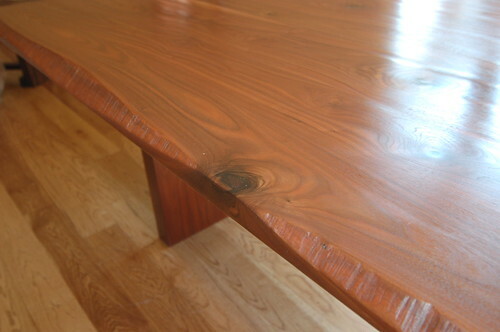 Here is a dining room table in walnut where we were asked to create the look of a single slab tabletop with a live edge. 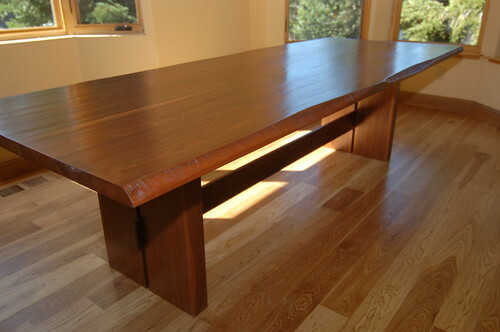 Because this customer wanted kiln-dried wood, our locally available choices of wood species was somewhat limited, and American Black Walnut was chosen. We worked with the customer on the base design and the selection of individual boards and then glued up the top and added the live edge with a chainsaw. 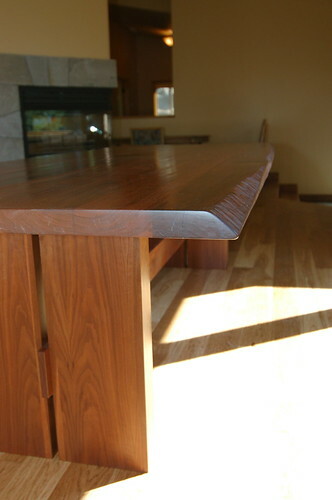 To give the table a bit more tactile relief, we also included subtle hand-scraping. The finish is an oil-based stain, six coats of tung oil and a finishing wax.